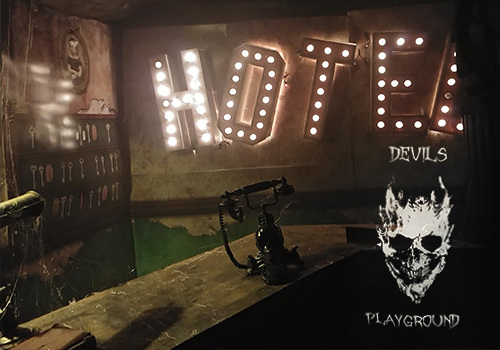 We started our haunted attraction, The Devil’s Playground, in 2011, and enjoyed 5 scare-tastic seasons before our location was made unavailable in 2016. 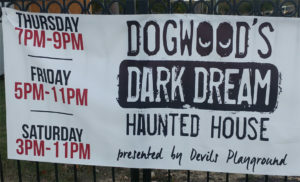 We bridged the location-hunt gap with the Fayetteville Dogwood Festival in 2017, where we filled in and created the Dogwood Dark Dreams haunted attraction. It was an amazing weekend, and challenged us to build, work, and demo an entire haunt experience in just a few weeks- and in Festival Park, no less. In the 2018 season, we opened a new haunt location in Lillington, to rousing success. We were delighted to find fans new and old had come out to our new location to support us and enjoy the scares. 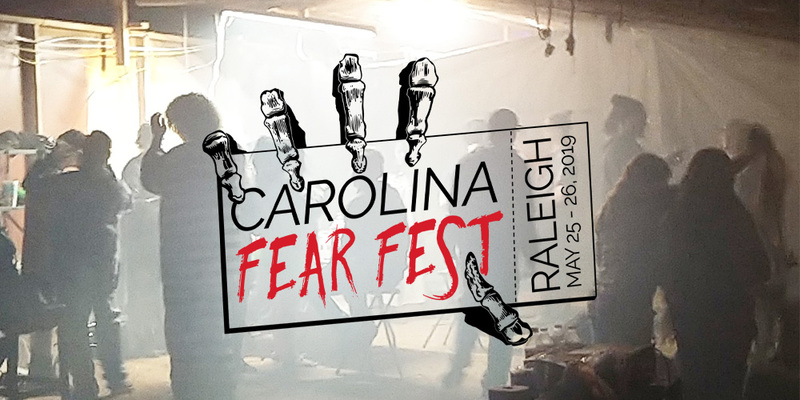 After Carolina Fear Fest’s inaugural horror convention weekend in Raleigh, we’ll be back to getting the haunted attraction ready for our 2019 haunting season, which opens in September, 2019. Until then, we’re working to create an inclusive horror themed convention experience- booking celebrity guests from the horror industry, meeting with local convention vendors, and creating sponsorship opportunities in Raleigh, and marketing our event to horror fans in North Carolina and surrounding areas. 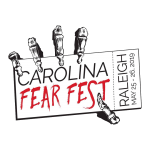 We’re really excited about Carolina Fear Fest 2019, and we hope you are too. If you’re looking to get involved, we’re accepting Vendors who wish to share their products with a new audience, Sponsors looking for new and unique marketing opportunities, and Volunteers to give us a hand during the convention. You can find more information about our event around our website, especially in the FAQs section, as well as on Facebook, and Instagram. We’ll be releasing information via Insider Emails, closer to the horror convention.